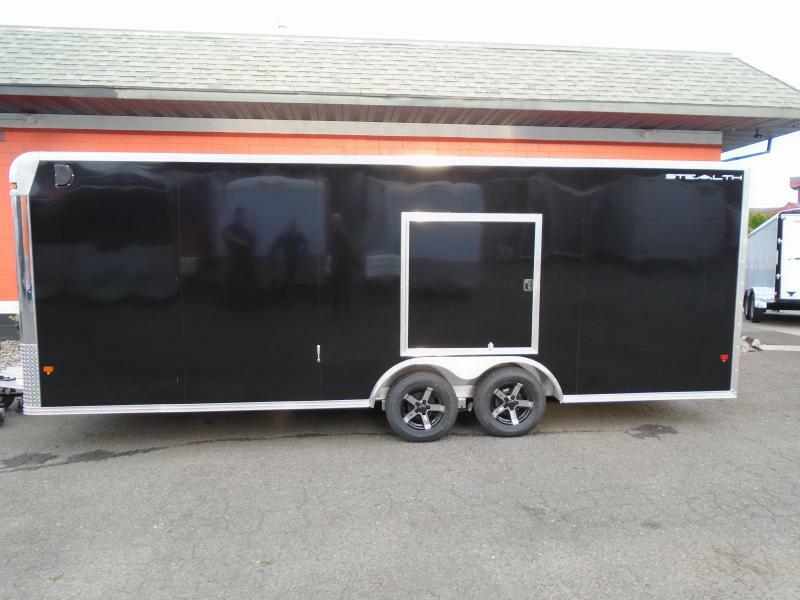 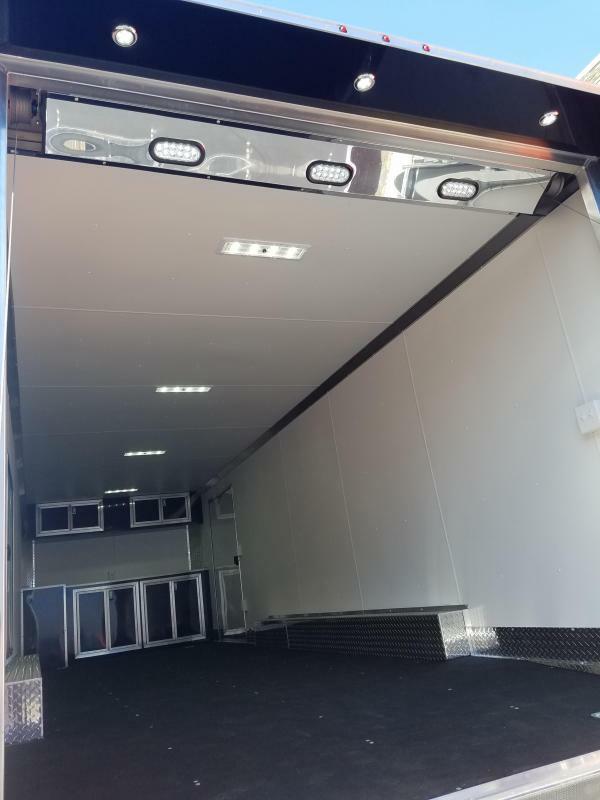 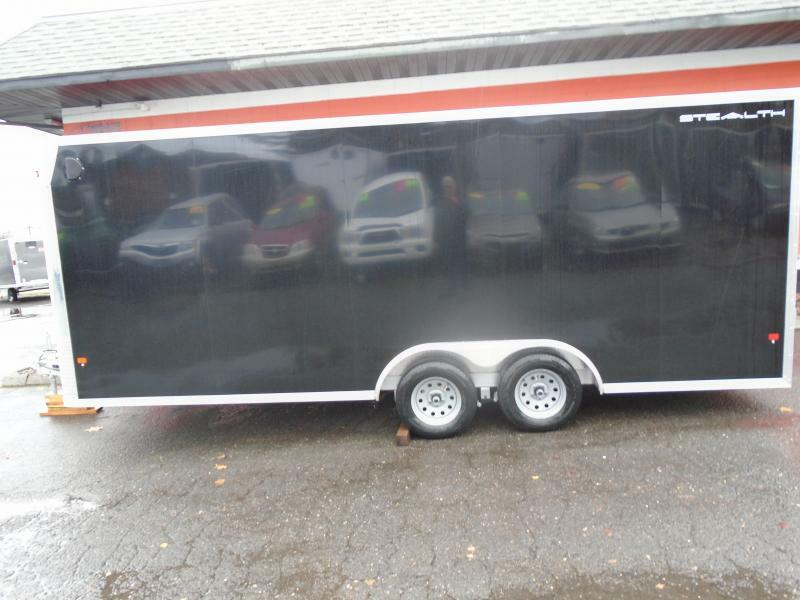 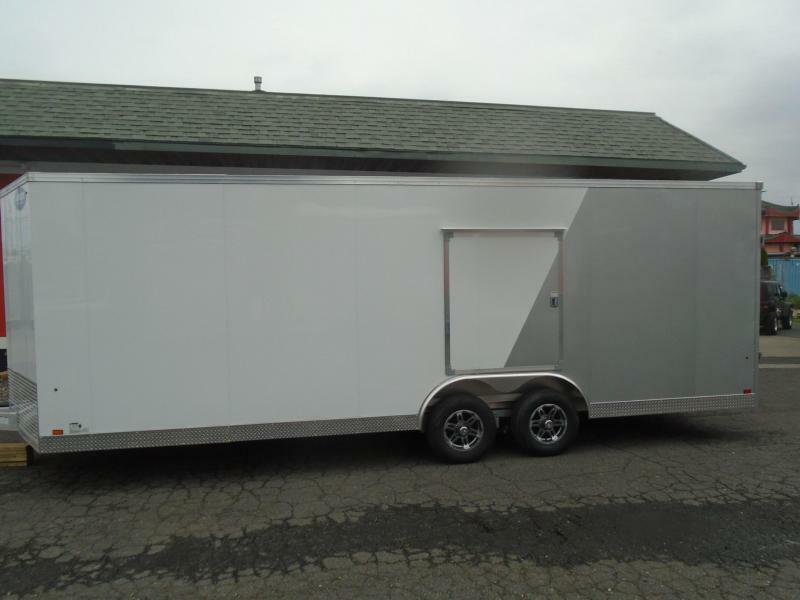 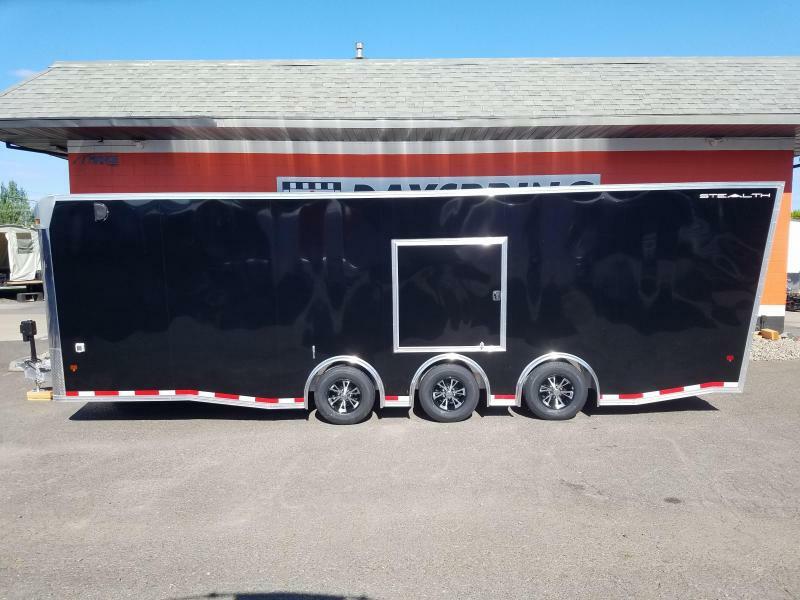 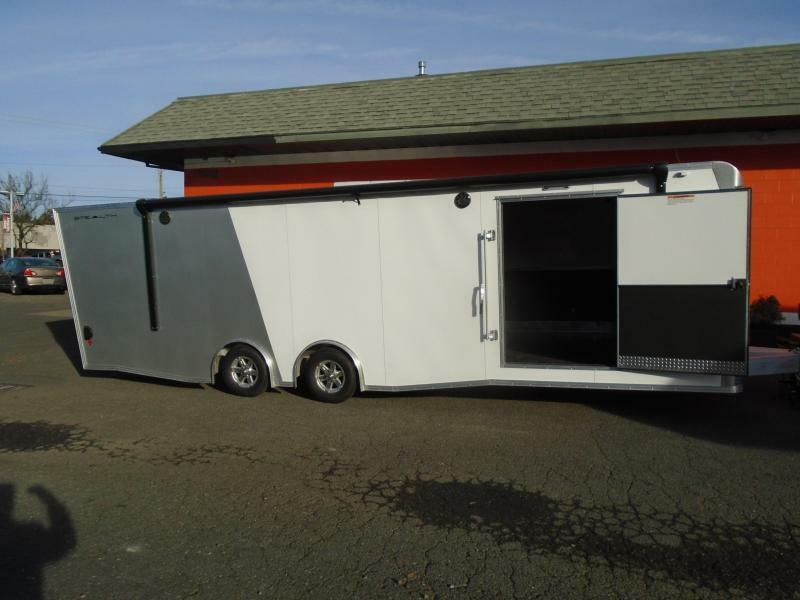 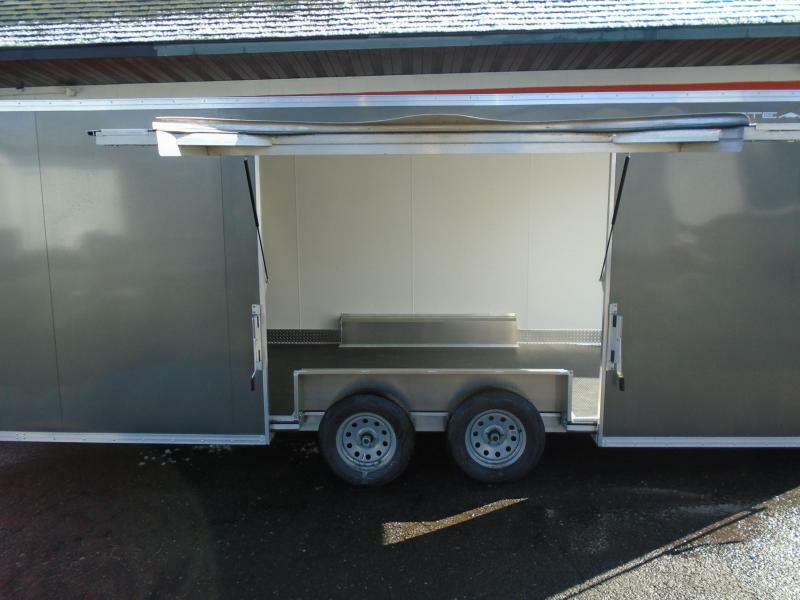 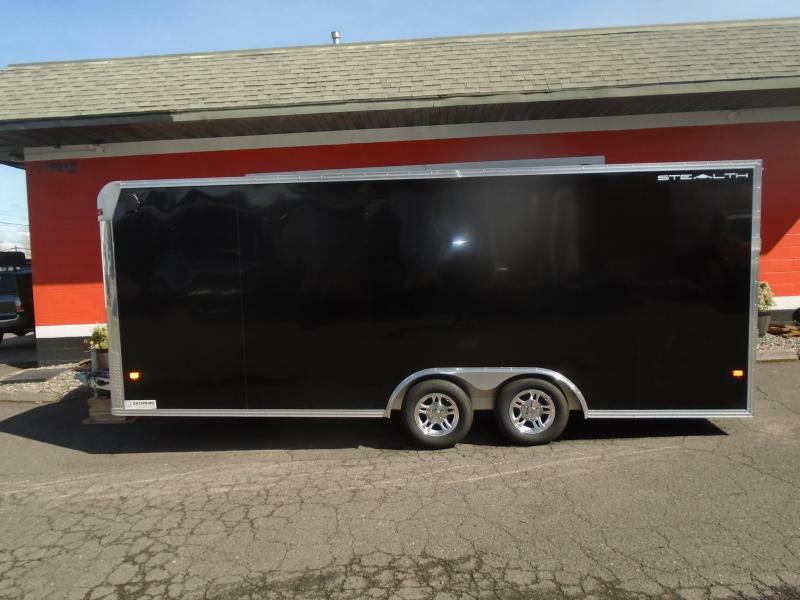 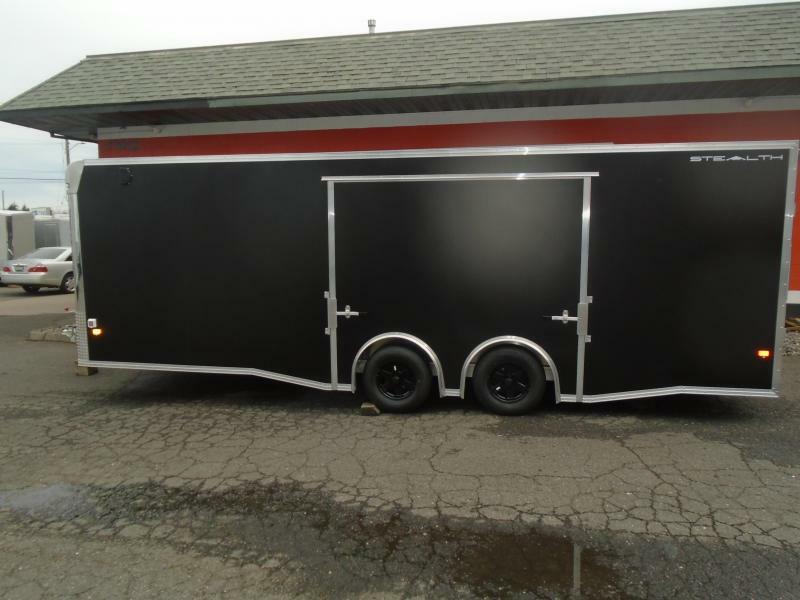 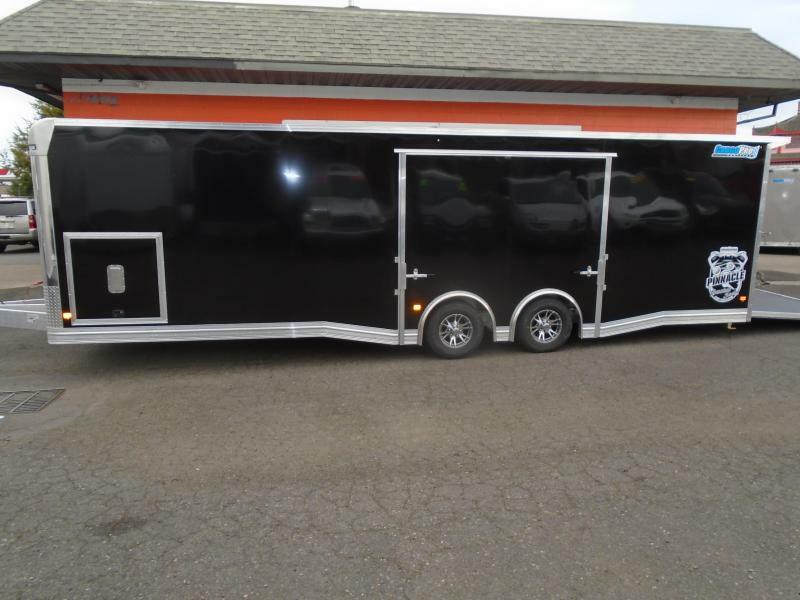 Back by popular demand, we have fully loaded racing trailers! 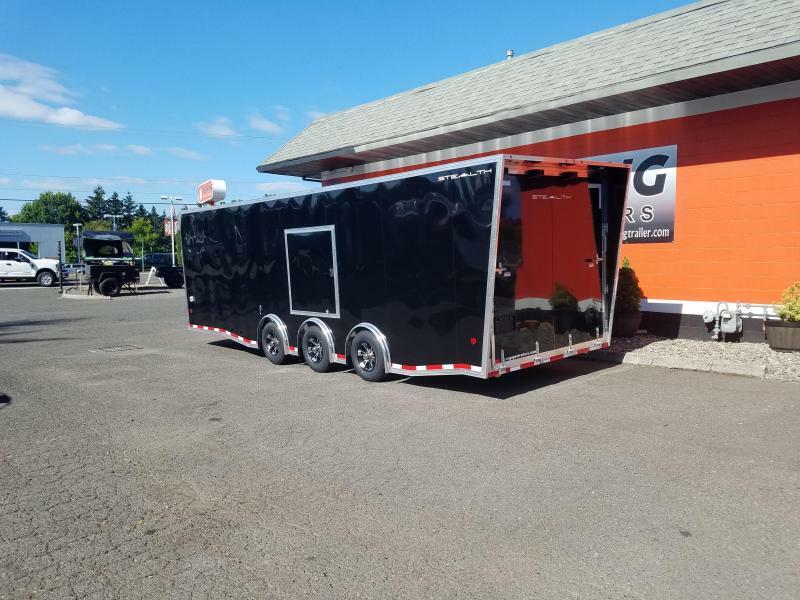 This Black beauty is the queen of them all, it features all aluminum construction, triple spread torsion 5200 Dexter EZ lube axles, giving it a 15k GVWR and about 12k payload. 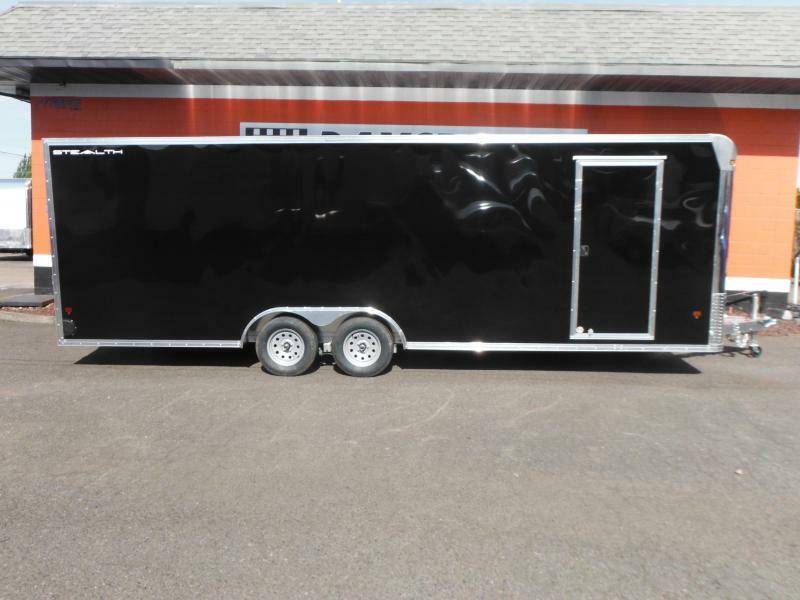 (That's right, it only weights 3k empty!) 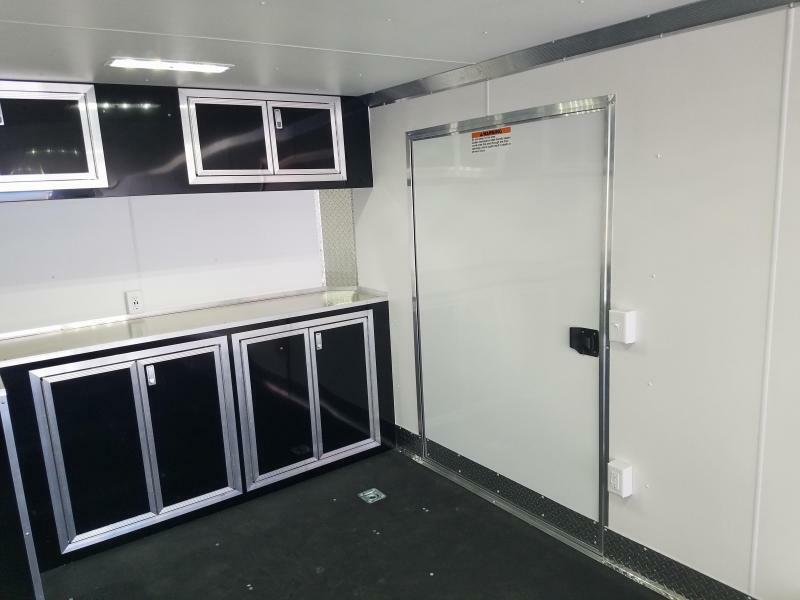 It has a driver's side escape door, front upper and lower cabinets with a workbench and L shape extension so you can work in-depth. 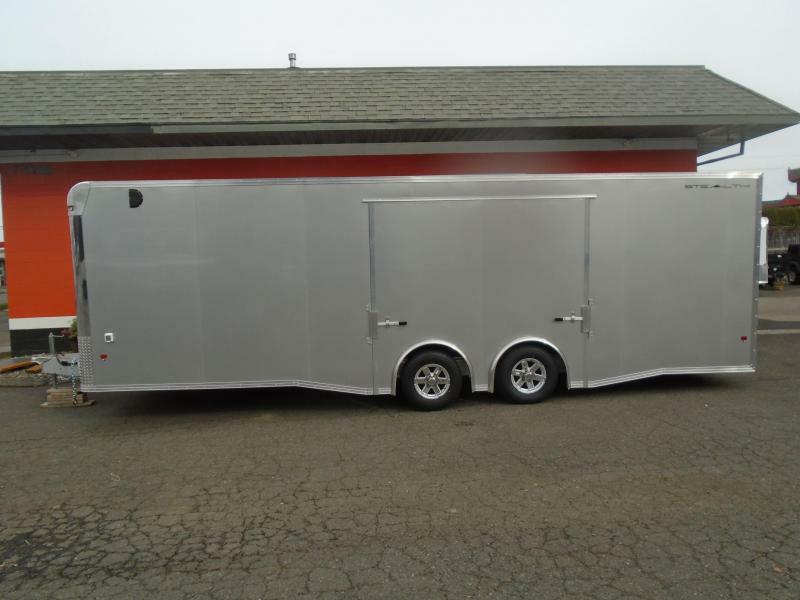 We had the rear canopy added to the build to give it that sweet swept look, it looks like it's racing already! 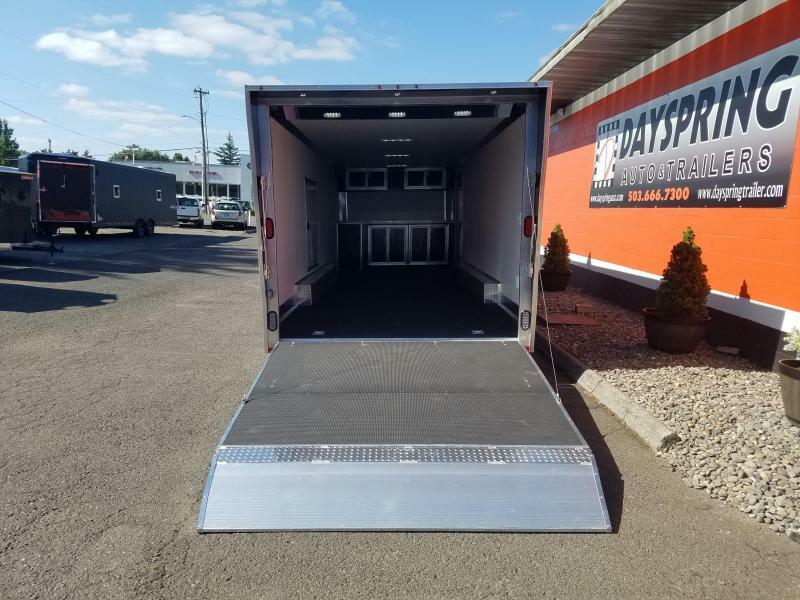 Two sets of loading lights, interior motion sensing lights that turn off when you walk out, 60 amp electrical package with motorbase plug, power electric jack with manual override, premium quad-ply flooring, HD tie downs, aluminum starter flap on the ramp, super extra wide side access door, rear drag wheels, premium alloy wheels, brakes on all 3 axles, and more. 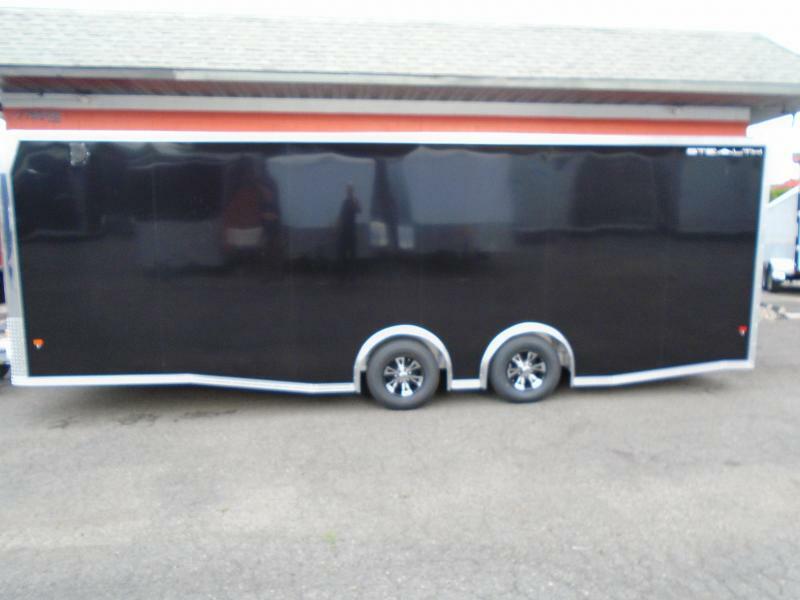 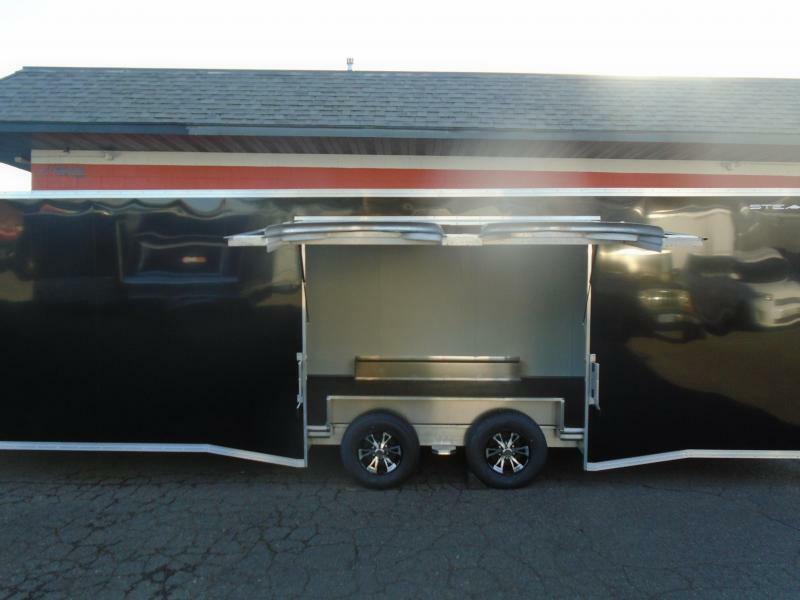 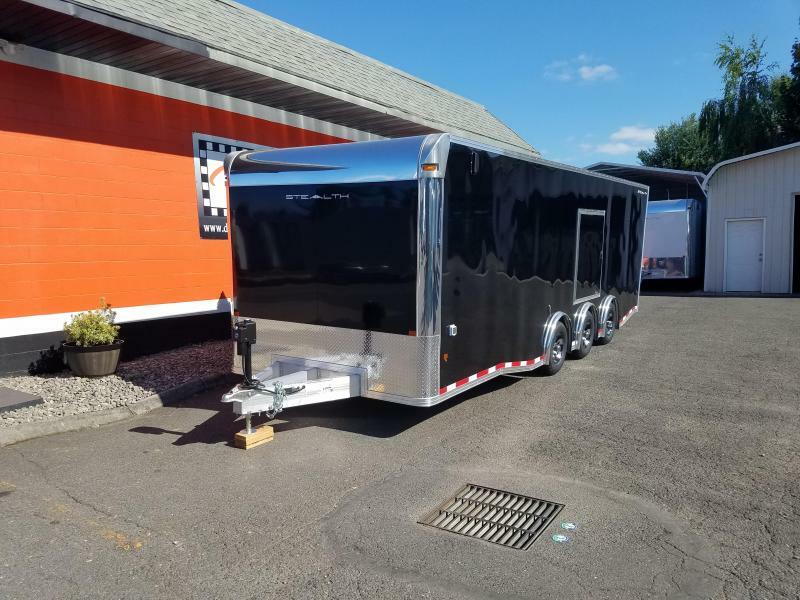 This trailer is absolutely one of a kind, and when it's gone you will have to wait 6-10 weeks to custom order something similar. 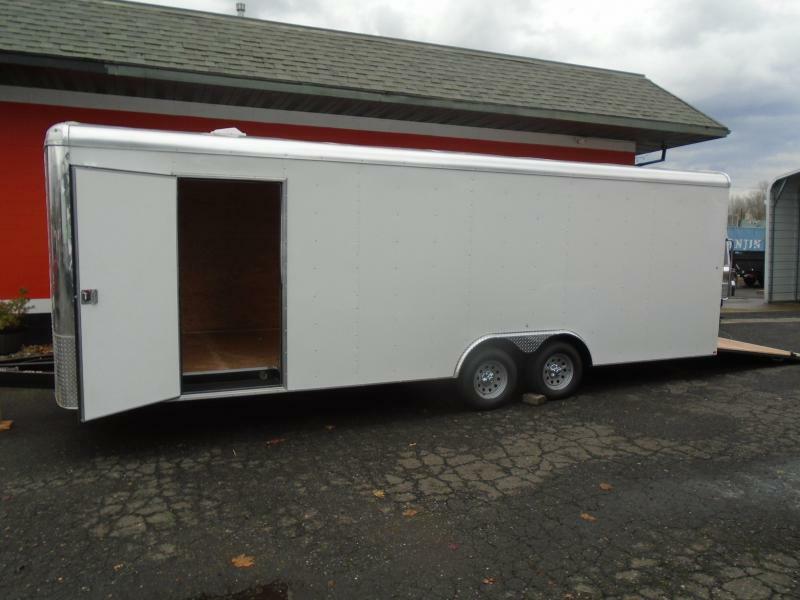 So come check it out soon, or let us know if you have any questions! 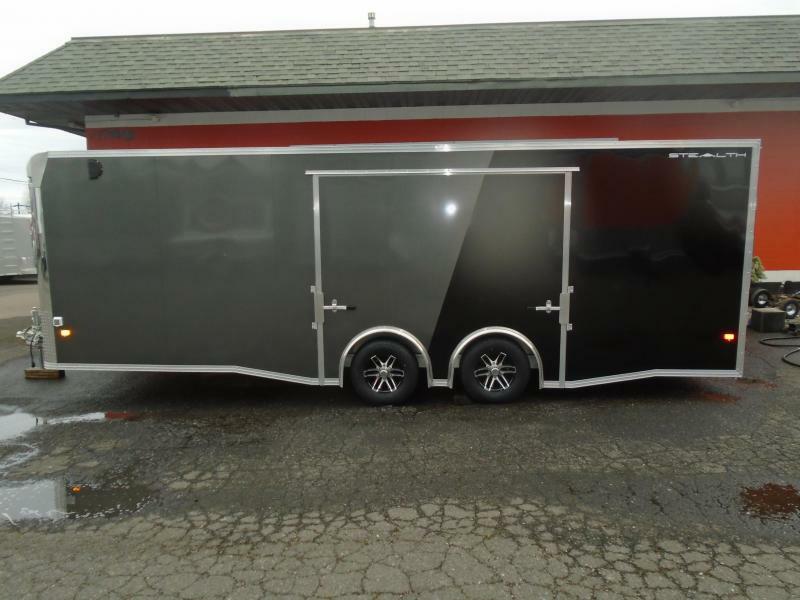 Let us help you find the right trailer for your needs! 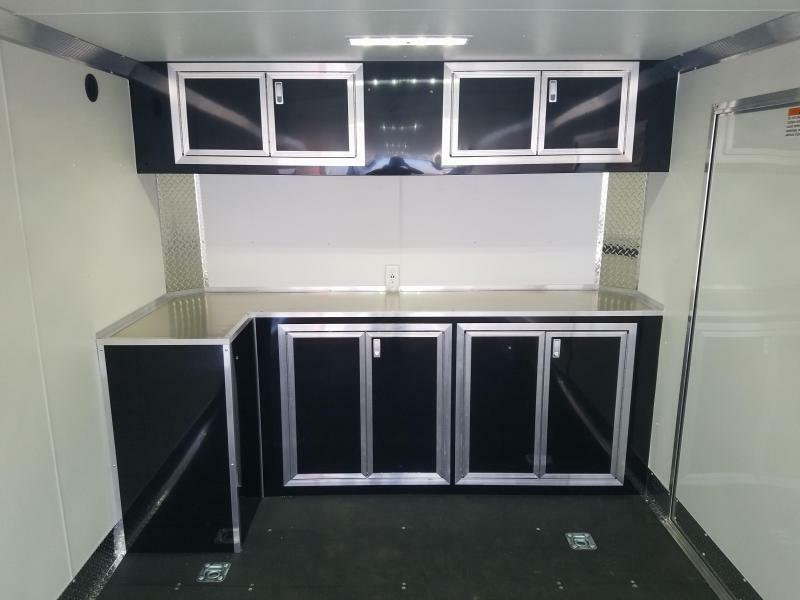 If we don't have it, we will custom order it for you, and configure it perfectly for your specific application. 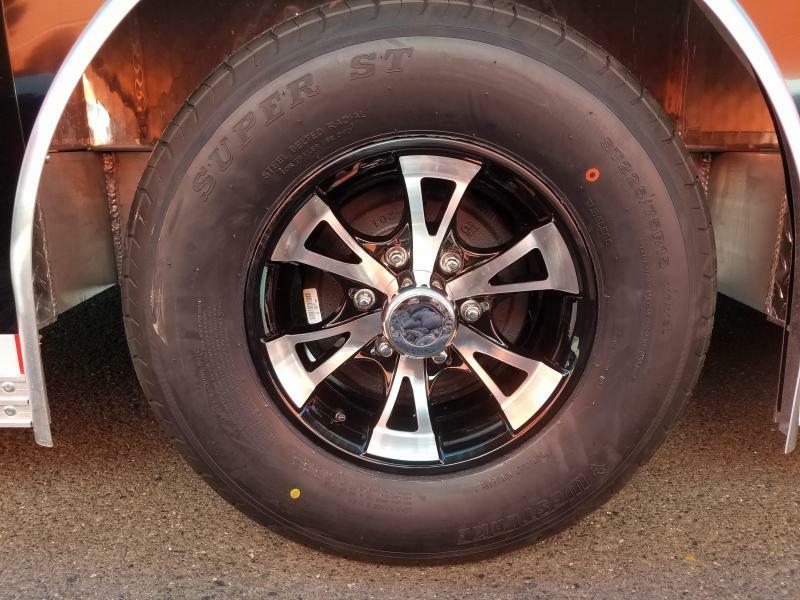 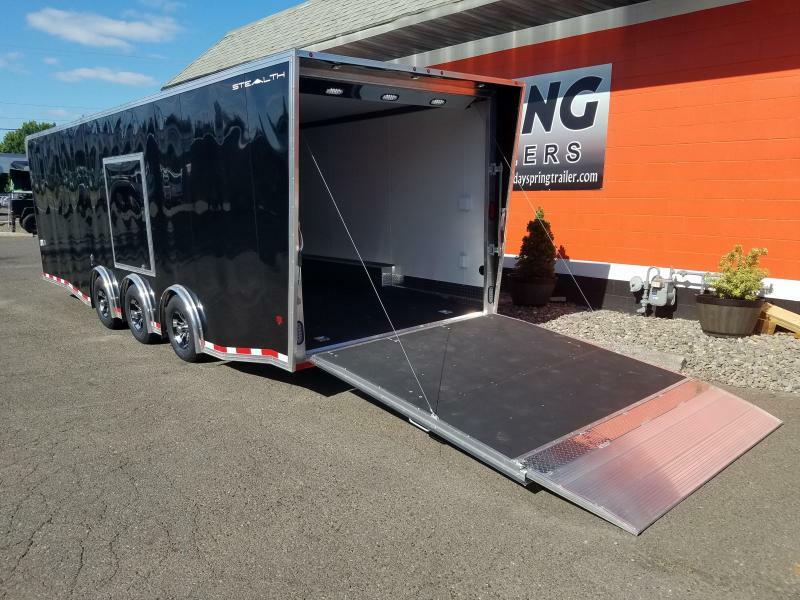 Our goal is to make sure you have the right trailer and accessories outfitted to meet your unique needs and to make it a pleasant and enjoyable experience buying your new trailer.